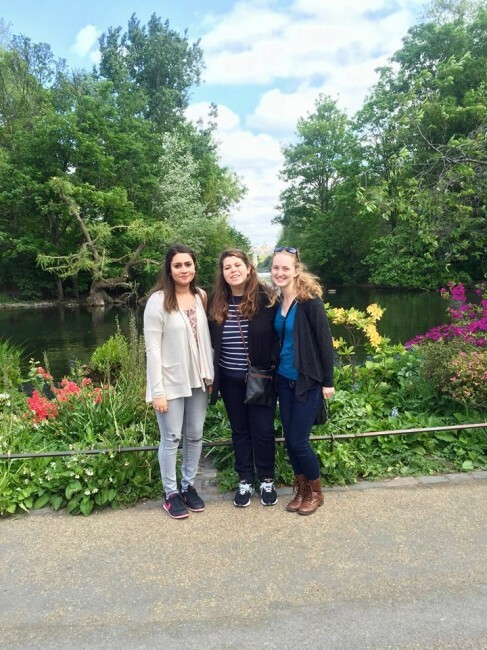 Posted by Aditi Thakur on Saturday, May 14, 2016 in Academics, Maymester, Study Abroad. Sorry I have been AWOL, but after finals and moving out, I am finally free to blog! My last two finals were on May 4th (a.k.a. Star Wars Day…the force was with me, thankfully), and after moving out two days later (you’d be surprised how much packing a dorm room requires), I spent a few days in Atlanta. A few days ago, I flew into Heathrow T5, and now I am finally here! I am here for an Economics’ Maymester (it was 3 months ago when I blogged about it, wow) for around 3.5 weeks, and I promised to keep you updated about it, so here’s my first post! While a lazy me would have wanted a few more days to relax at home and not be jet-lagged, I am so grateful to have the opportunity to study and travel in London and Normandy. After enrollment was finalized, I realized that I didn’t know any of the other students who are taking this course, but I hope to make many new friends during this program. 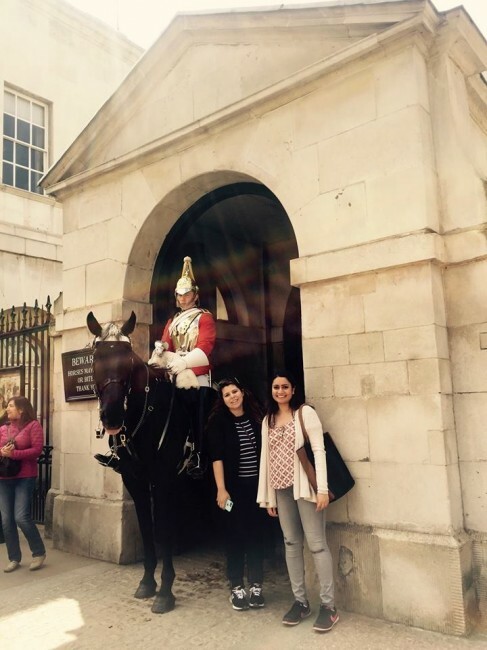 And of course, I have a London bucket list (including seeing Prince George <3) but we’re covering many tourist spots in the Maymester with Professor Driskill. 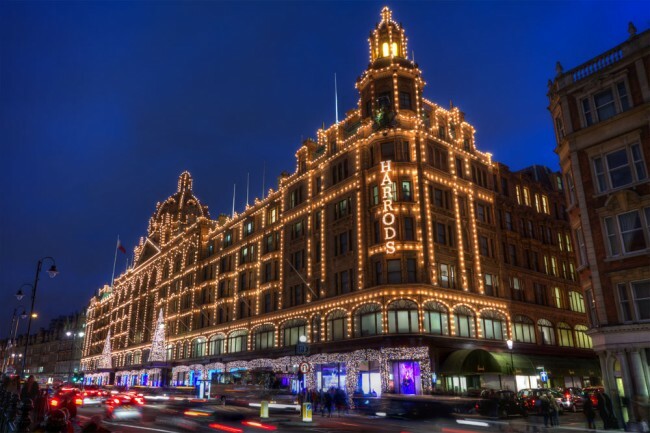 We’re living in South Kensington which isn’t very far away from famous locations. I have been planning this trip for a long time and wanted to take this class when I first heard about in May 2014, when I was an over-eager freshman who wanted to know all about Vandy, mostly through Inside ‘Dores. Now, I am officially a junior (yes, I’m that old! ), and I am so glad this course was offered again. We’re staying at the Foundation for International Education’s Queens Gate residence, where I’m living with three other students in a quad. 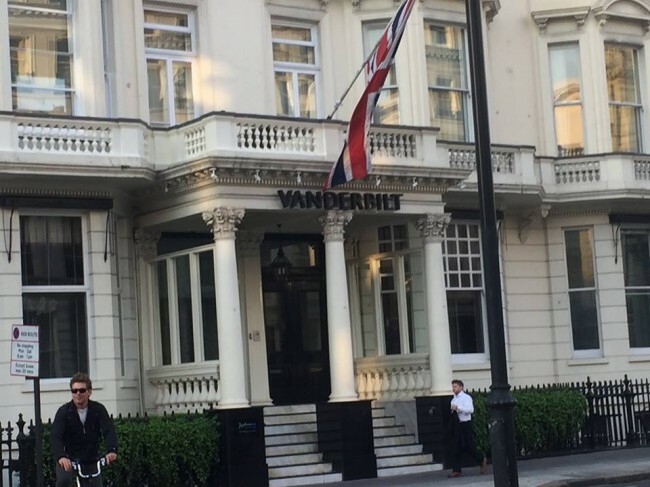 One of my roommates is actually another Vandy student on a different Maymester in London! Fellow blogger Carly is also in London with me! These past few days have been mostly about getting over jet-lag and traveling to as many places as possible before classes start. Maybe I worded that harshly because we do get to visit a lot of tourist spots as a part of class, but there are some things on my bucket list that aren’t a part of the Maymester itinerary. So here’s a list of places I got to see so far! Kensington Gardens is like a royal version of Central Park, and it truly is a beautiful expanse of greenery a few minutes away from our residence. 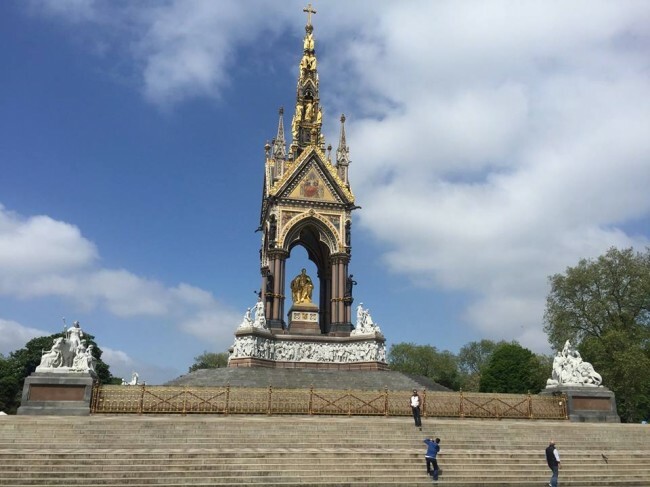 It has a lot of different tourist spots such as Princess Diana’s Memorial and Alfred Memorial, which I got to visit. It is also the location of Kensington Palace (where Prince William and family live), but I haven’t had the time to go there yet. Although Buckingham Palace is closed for the summer, we did get to go around it and see the changing of the guards’ ceremony. 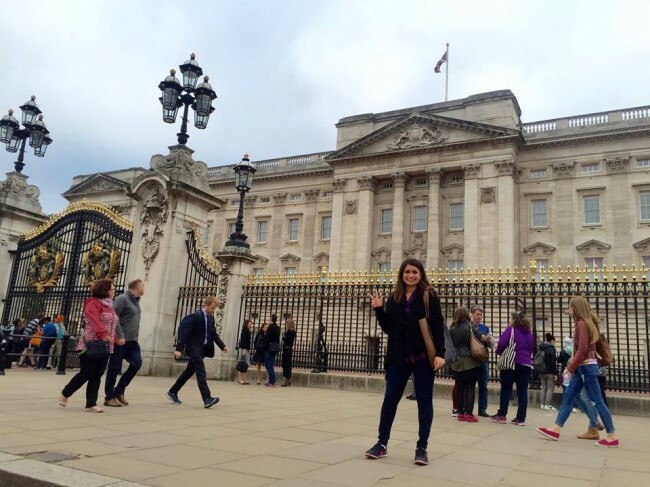 The palace has always been on my bucket list, especially after I binge-watched the Royal Wedding a few years ago, so I’m really happy I got to see it! Next to the palace is the iconic Victoria Memorial fountain. The changing of the guards’ ceremony was a lot of fun to watch! 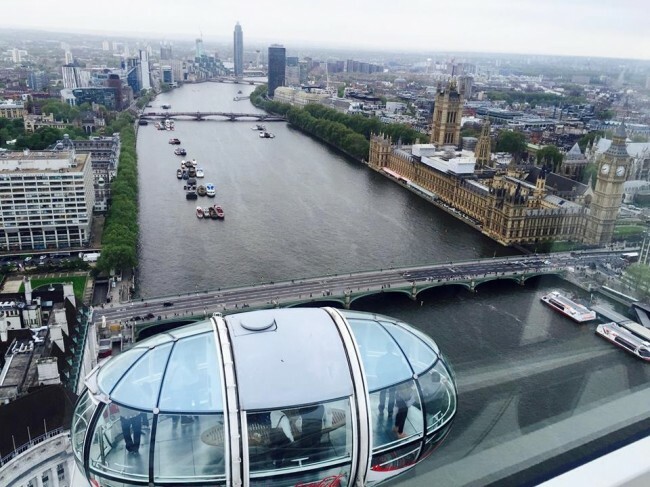 London is such a massive city with so many beautiful buildings, so the London Eye was the perfect way to get a bird’s eye view of its attractions. With my friends, Jules and Mary! The royal cavalry has a ground where they have parades, and they also have an adjacent museum. I got a picture with a really cute horse and its guard! One of London’s iconic tourist hubs, Trafalgar Square is one of the most vibrant places I’ve seen so far. There’s live music, hordes of tourists, and artists all gathered in one spot. Right next to it is the National Gallery (with free admission!). My friends and I spent a couple of hours (it’s worth it!) immersing ourselves in the works of Monet, Da Vinci, Van Gogh, and many, many more artists. 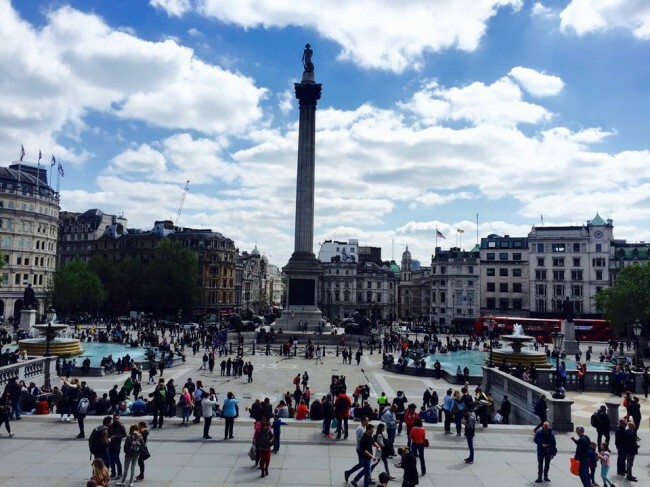 One of my favorite tourist spots: Trafalgar Square! This is probably the most luxurious place I’ve seen on Earth yet, and I’m not being hyperbolic. My friend Mary and I looked like quintessentially broke and jet-lagged college students, but we had a lot of fun exploring this famous mini-mall. Dressed in Forever 21, we were fish out of water, but it was eye-opening to see the sheer amount of luxury that can coexist in one place. Every part of this store was tastefully decorated, and it was a veritable visual treat to go there. I’m sorry I haven’t talked about the actual class yet, but classes start on Monday (and yes, I’ll do the reading on Sunday…sorry Professor Driskill), so stay tuned for posts about actual economics!